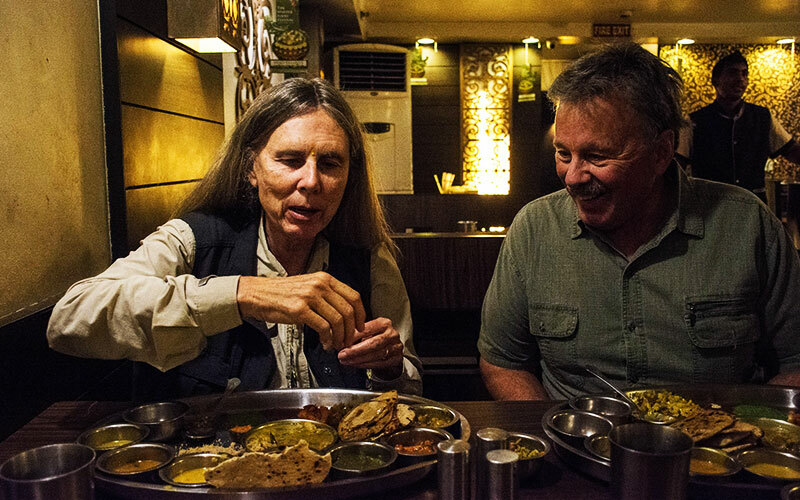 Indulge in the tempting delight of the Golden Triangle Food Tour waiting just for you. Commencing right from the trendy Dhabas clipped in Delhi, going past through the Food walk of Jaipur and concluding to the Agra’s Royal Kitchen, Golden Triangle’s Food Tour has a secured a promising culinary experience for its practitioners. 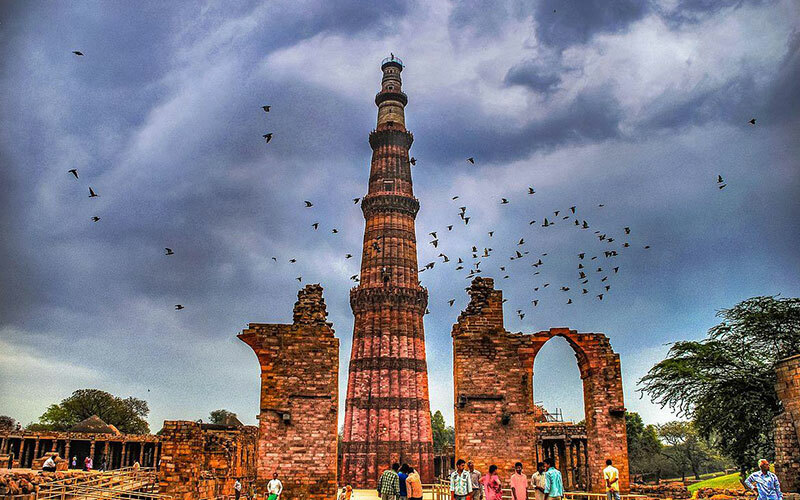 Delhi is equivocally an apt spot for any traveller indulged in food walks apart from the ‘mandatory sight-seeing’ activities. A metro ride to the squeaky yet full of street food place, Chandni Chowk is really a true delight for each and every visitor here. Try out an abundant variety of chicken delicacies serving the sole intention of the utmost satisfaction of their consumers with its evergreen drooling taste. 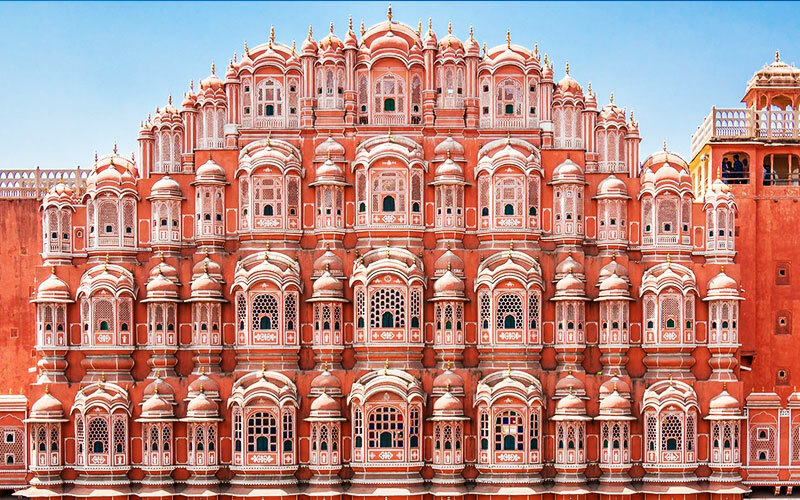 Heading towards Jaipur from Delhi shall prove to be an unforgettable experience for you while witnessing a handful of memories through your road trip. 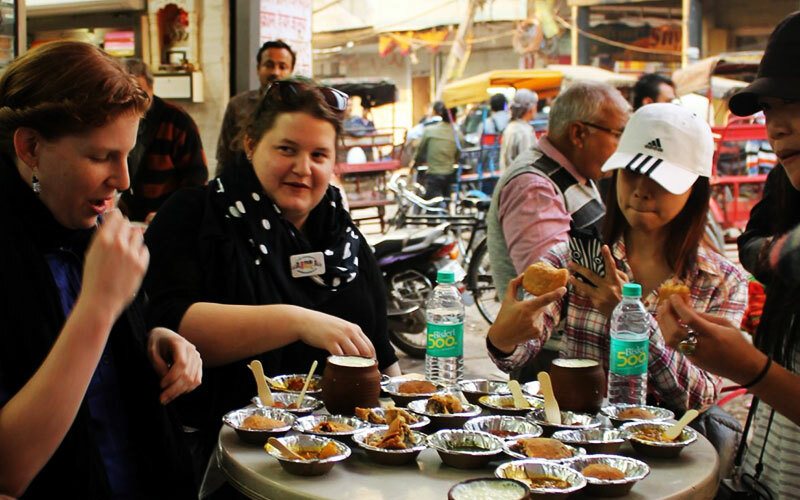 The majorly acknowledged food tour in Jaipur is none other than the super-amazing ‘Food Tour’ where you will be facilitated with an extraordinary food walk at the streets of this Pink City. This Food delicacies’ sight is going to be witnessed from the Hawa Mahal while coming across the Triploya Bazar, Hanuman ka Rasta, Gopal ji Ka Rasta, Johari Bazaar and then ending up at a pre decided place. Once done with the unlimited fun at Jaipur, it is the turn of the last spot in the Golden Triangle Tour i.e. Agra. 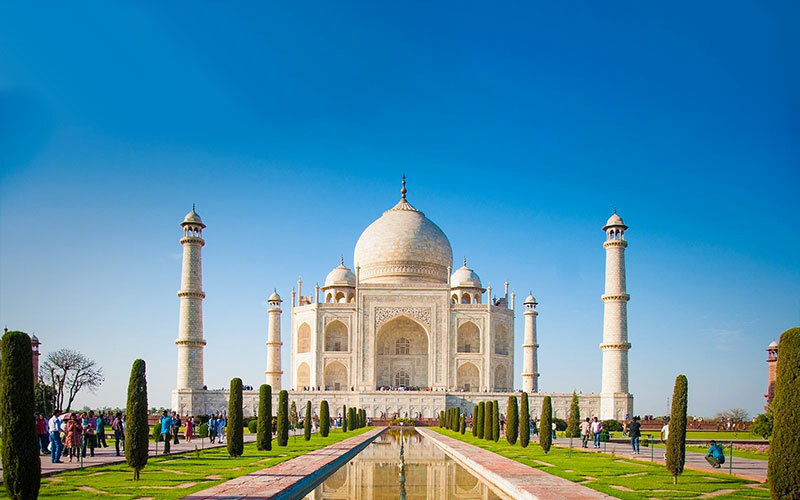 Home to one of the ‘Seven Wonders of the World’ Taj Mahal, this lovely city enjoys the ‘Royal Cuisines’ and has made its dishes available for the travellers in a really different array of cafes and the restaurants. Upon arrival, our representative shall meet you and assist you at the airport. Later you will be escorted to your designated hotel for check in. After freshen up and relax for some time, you will be taken to Indian family where you will be learning the techniques of cooking. You will also have meals with Indian family. After dinner, transfer back to the hotel for overnight stay. 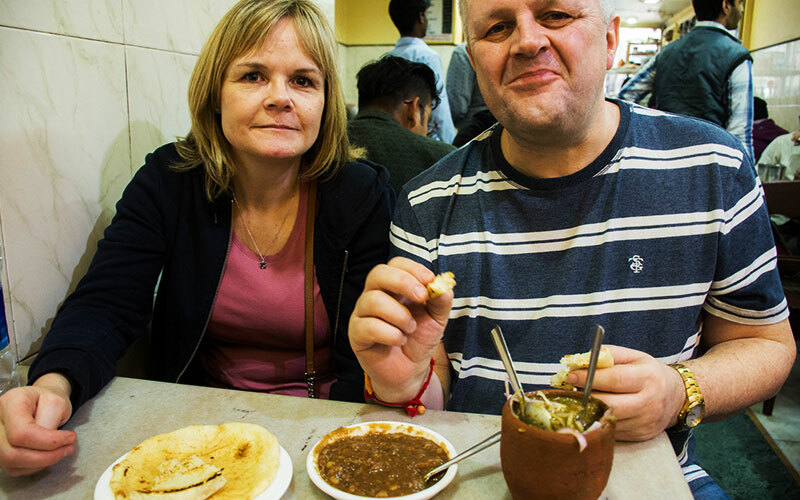 After breakfast leave for sightseeing of Delhi with your guide and visit the famous places like Jama Masjid, Old Delhi Market (Chandani Chowk) by Rickshaw, Qutub Minar. Followed by a drive past to Parliament House, India Gate, Rashtrapati Bhawan. After sightseeing drive back to hotel for enjoying cooking demo with dinner. Chef will teach you to cook Indian Cuisine. After demo enjoy delicious Indian food cooked by you. Overnight Hotel. Morning drive to Agra. Enroute visit Tomb of Akbar , Sikandra. After check in learn the techniques of Mughlai Cuisine. Evening free for leisure. Dinner & Overnight stay at the hotel. After breakfast enjoy sightseeing of Mughal Capital Agra. 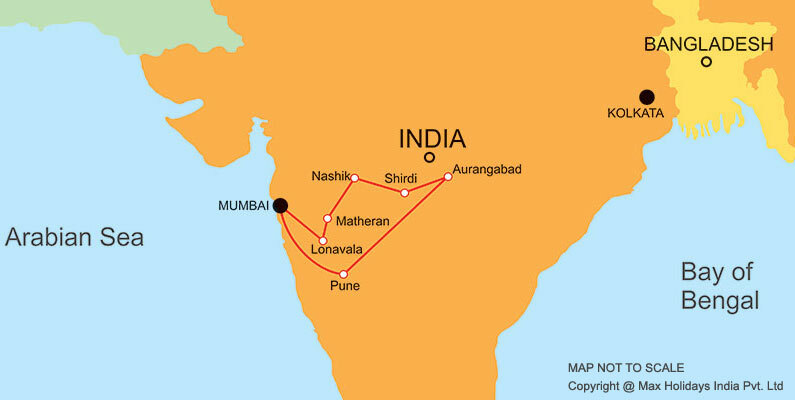 Start the trip by visiting monument of love – Taj Mahal & red Fort of Agra – Agra Fort. After breakfast drive to Jaipur. Enroute enjoy sightseeing of Fatehpur Sikri – an abandoned city. Continue your drive to Pink city. On arrival check into hotel. Early morning go to visit Amber fort in Royal Style on Elephant back, After breakfast visit City Place, Observatory. In the afternoon you can also go for food walk of Jaipur followed by lunch. Return back to hotel, In evening you will have demo class of Rajasthan traditional cuisine followed by a lavish dinner. After breakfast, drive back to Delhi airport to board flight for onward destinations.